Knut Ivar Austvoll is a lecturer in the Department of Archaeology, Conservation and History at the University of Oslo. By the beginning of the Late Neolithic and continuing into the Early Bronze Age, the reliance and utilisation of the sea set the stage for a more advanced sociopolitical organisation along the coast of northwestern Scandinavia. How was this operationalized? In this introduction chapter the author outlines his primary focus, which centres on the reasons behind the development and variation of sociopolitical organisation along the coast of northwestern Scandinavia in the Late Neolithic and Early Bronze Age. Chapter 2 starts by presenting synthesis of the current state of research regarding the Late Neolithic and Early Bronze Age and ends by outlining four primary hypotheses that follow the book throughout. First, societies living along the coast of northwestern Scandinavia were well-integrated into a Northern European System. Second, varied forms of sociopolitical complexity should be present depending on local resources strategies. Third, the stability of each society differed depending on their sociopolitical organisation. Forth, interregional communication played an important part in their development. These hypotheses are linked to set objectives that will be important to investigate in the following book: Chronological and regional variability; constructional variability; material distribution and differentiation; and local resource and subsistence traces. In chapter 3 a presentation of the theoretical and research historical stance is offered. First, some theoretical considerations are discussed and highlighted. This is presented through a general discussion on political economy approaches, the implementation of social evolution in archaeology, and their context within a northern European research history. This serve as a foundation for the framing of the theoretical model developed in this chapter. Secondly, cross-cultural comparison from independent regions is presented to illustrate the organisational structure from comparatively similar regions and assist in the modelling of a sociopolitical framework in northwestern Scandinavia. 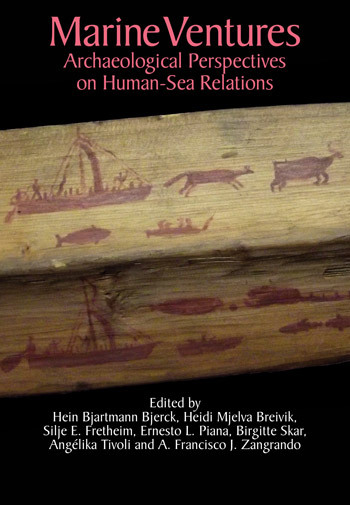 Lastly, previous and current trends that have figured in Scandinavian Bronze Age research are highlighted in order to position this book in a broader discourse. Chapter 4 frames a method for identifying variation in regional complexity. The approach mirrors that of comparative archaeology; however, the application of statistical analysis is used to identify a diachronic view of regions with concentration and contraction along the coast. The approach is twofold; a first-tier approach that traces social evolutionary structures and diachronic relations that amount to generic groupings; and a second-tier approach where the selected groupings from the first-tier are applied to make the appropriate qualitative analysis between selected regions. Chapter 5 presents and contextualises the material culture of the regions along the coast of northwestern Scandinavia. It serves as an initial analysis with the aim to understand basic regional dynamics, which functions as a backdrop for social, political, and economic organisation presented in Chapter 7 and 8. The regions are presented through a set of focal points split between the sections: settlement patterns, burial patterns, lithics and metal, and rock art. Each focal point is presented with different scales in mind. In the end, such a multiscalar approach help identify the level of local and regional organisation, still, equally important are evidence of diachronic developments of growth and decline, which point to highly unstable and cyclical processes along the coast. 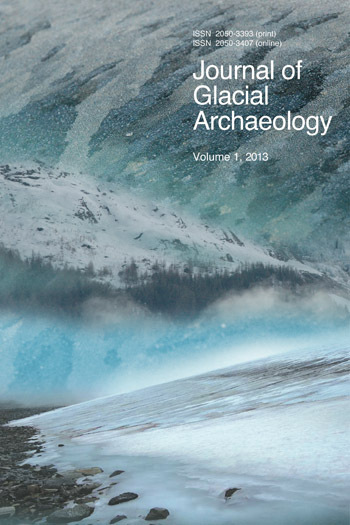 Based on the investigation and analysis of the archaeological data in Chapter 5, some preliminary estimates are presented in Chapter 6 of regional and chronological variation along the coast of northwestern Scandinavia. Based on the variations seen it is possible to distinguished between 16 sub-regions in northwestern Scandinavia – each exercising varied forms of sociopolitical strategies based on local comparative advantages. In chapter 7, in order to delve deeper into the complex interactions presented in chapter 6, it is necessary to identify each region’s comparative advantage and the linkage between such advantages with sociopolitical strategies. This is demonstrated through a selection of three case studies, each exemplifying various strategies of sociopolitical organisation through time. The cases are divided into four sections: (1) a general introduction of the regions, including topography and vegetation, (2) palaeobotanical data, (3) outfields, and (4) infields and organisation. In the end the chapter outlines three distinct strategies that are exercised based on a combination of local comparative advantages. The book’s research strategy has provided insight into how local sociopolitical societies developed alternative strategies through effective use of the local ecology. These results are in this chapter drawn upon to discuss the final research question; to what extent did interregional communication play part in local societies development? No man is an island and the developments presented so far cannot be understood without seeing them in causality with both neighbouring and interregional developments. The final chapter examines this more specifically by drawing on both the theoretical and empirical framework that emerged in the foregoing chapters.